LiSA Initiative & First Financial Security, Inc. Participate in International Outreach by Sponsoring the Building of a Playground in Atonkwa, Ghana. Through international outreach efforts, a simple act continues to have a profound impact upon a community in Atonkwa, Ghana. 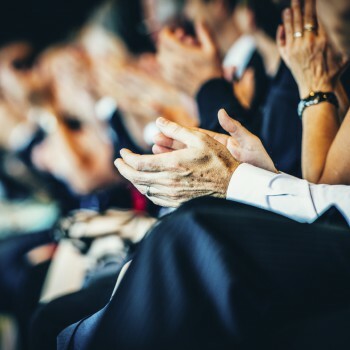 Standing in front of a packed meeting room in Dallas’ InterContinental Hotel, Dr. George Fraser, the Founder and Chief Executive of FraserNet, Inc., issued a challenge to those attending the 2015 PowerNetworking Conference. He urged the event’s sponsors, vendors, and conference-goers to give generously to this international outreach, so together they could make a children’s playground in Ghana a reality. PNC Presenting Partner First Financial Security, Inc. (FFS) and LiSA Initiative (LiSA), the grassroots movement it sponsors, answered Dr. Fraser’s challenge. 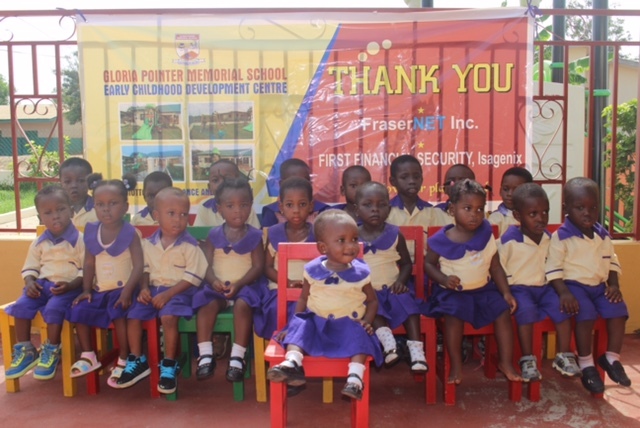 FFS/LiSA pledged $10,000 to support international outreach efforts by building the Gloria Pointer Memorial Child Development Center’s (GPMCDC) playground in the village of Atonkwa. This story actually begins three years earlier when Dr. Fraser led a group of 14 on a trip to Ghana West Africa. While there, the group immersed themselves in Ghana’s culture, as well as its people and traditions. One of the trip’s highlights was when they were invited to attend the groundbreaking of a child development center on land donated by Nana Kodwo Eduakwa V, Chief, with whom Dr. Fraser forged a friendship. After the groundbreaking ceremony was over, Dr. Fraser made a promise to Chief Kodwo Eduakwa V that he would would tap into his vast network of contacts for support and funds necessary to build a “contemporary U.S.-style playground.” And he did just that. Fast-forward three years to 2015, Chief Kodwo Eduakwa V traveled to Dallas to accept an award from Dr. Fraser at the PNC event. In addition to the honor, he was on hand to witness the excitement in the room as others began pledging their support. First Financial Security and LiSA Initiative will once again attend the PowerNetworking Conference as a Presenting Sponsor. This year’s PNC event is planned for May 26 to 28 in Prince George’s County, MD, a Washington D.C. suburb. A national brokerage agency, First Financial Security is a leader in providing financial services to meet the needs of all people and helping them achieve financial security. LiSA Initiative is the financial literacy arm of FFS and is committed to ensuring people have access to a financial education. Supporting the GPMCDC playground is indicative of the FFS/LiSA’s ongoing commitment to community outreach wherever it’s needed. First Financial Security, Inc. and LiSA Initiative are headquartered outside Atlanta in Norcross, GA, and are led by Co-CEOs Phil and Debbie Gerlicher and President Meg Jones.